Project Gecko in cooperation with Paramed CZ are proud to to announce the CLS course. 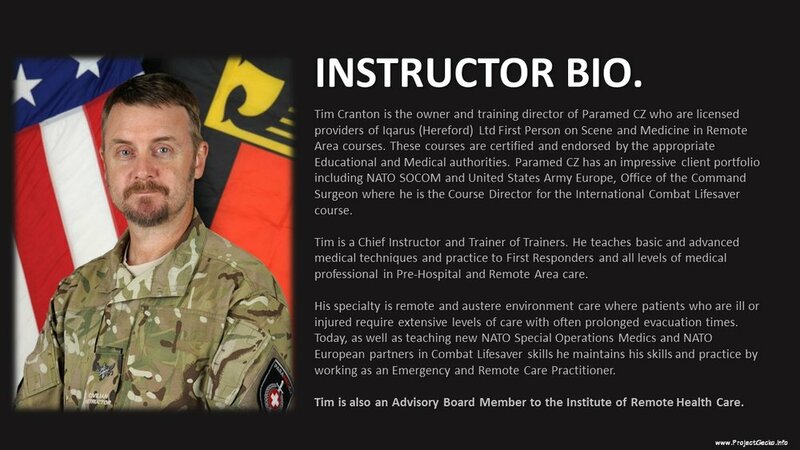 "....The Adapted 3 day Combat Lifesaver course will cover the Tactical Combat Casualty Care syllabus in a concentrated 3 day course of instruction. This course is approved and validated by the NATO Centre for Medical Excellence and will be conducted in tactical context of CQB..."
The actual course starts on the 23rd of March, on 09:00 Hrs in the morning. ARRIVAL is possible from the evening of the 22nd of March. Participation is only with registration! DAY 02 : Saturday – 0800 Roll Call at TBC, divide in to Teams and assigned to skill stations.